"Others took up the cudgels against democracy, at least as currently practiced in the United States. 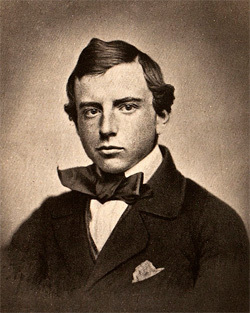 Henry Adams [himself a descendent of Presidents and a famed author and statesman] devoted an entire 1880 novel, straightforwardly called Democracy, to lam­pooning the habits of Americans in the political arena. Adams's politicians were venal and vulgar, his voters silly, stupid, or self-interested. 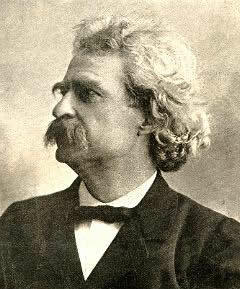 Like Twain, Adams thought discretion the better part of critical valor and declined to put his name on his work; the secret of his authorship held for decades. John Hay, former per­sonal secretary to Abraham Lincoln and future secretary of state to William McKinley and Theodore Roosevelt, was no less criti­cal of American democracy in his 1884 novel, The Breadwinners. But he was even more cautious, refusing till death to acknowledge writing such a scathing attack on the practice, if not the principle, of popular government. "More than Twain and some other critics of democracy, Park­man faulted not democracy per se but democracy's perversion by capitalism. ... The effects of capitalism spread insidiously across the land. "Parkman had no easy answer to the problem he described. In fact he had no real answer at all. Democracy was too entrenched as an ideology, and capitalism too powerful as a practice. He advocated reforming higher education. 'What we need most is a broad and masculine education, bearing on questions of society and government; not repelling from active life, but preparing for it and impelling toward it. The discipline of the university should be a training for the arena.' ... 'Universal suf­frage is applicable only to those peoples, if such there are, who by character and training are prepared for it.' Masses of Americans lacked the preparation, rendering the failure of universal suffrage inescapable." Hi, Can we get an app at the Appstore or Playstore. I really like this place and you guys are doing a fabulous job. I hope my request gets honored. Thank you team and keep continue the great work.